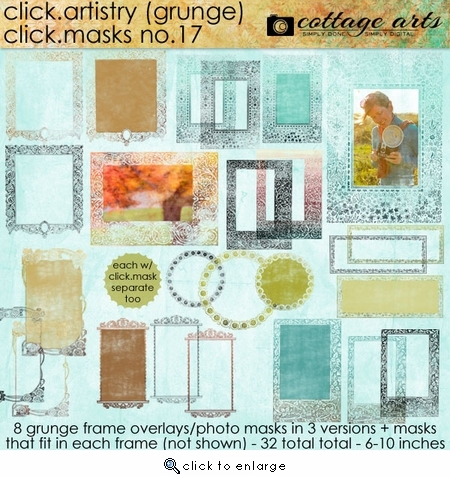 Note: Clean (not distressed) version of same set is available in Click.Masks 16. Get creative with our Click.Artistry series: products created especially to showcase your favorite images! These Click.Masks are a bit different than most of our other sets in that they have added frame overlays separate and included, in different distresses and colors (black and graduated color). 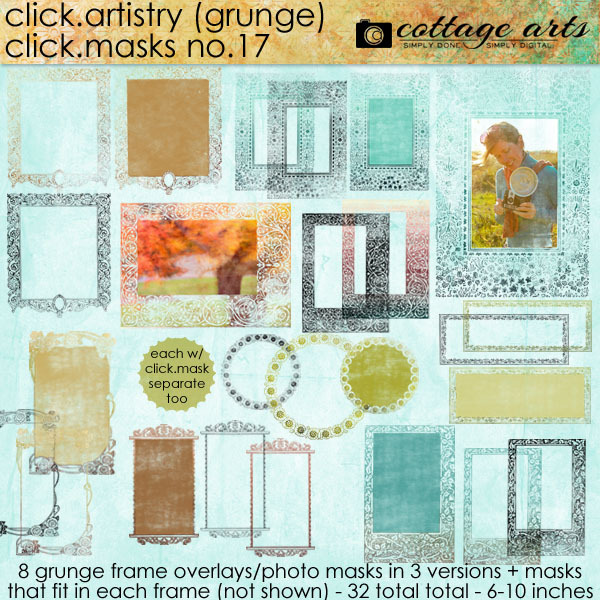 Includes 8 distressed ornately edged photo clipping masks (6 to 10 inches in size at 300 dpi), 8 distressed ornamental frame overlays in black and graduated color, plus 8 inner clipping masks (32 total). Fill with papers, photos, both!